Doctor, we have an emergency! Get your white coat on and operate now in this amazingly realistic surgery simulation game where you get to save the lives of injured patients in the emergency room of a respectable hospital. Perform various surgeries on seriously injured patients or simply heal the sick and fragile with your nursing skills in a virtual realistic hospital that mimic real life operations. Choose the right tools and perform special delicate tasks on organs, skin, blood tissue, scars and serious wounds with the sound of a beating heart on the monitor behind you. The right order of actions and the timeframe of each task is critical as you aim to prevent your patients from dying under your watch. Explore 4 exciting and different operations at this busy hospital and experience the thrill of painstaking attention to detail under the surgery lights. - Action, thrills and excitement under pressure! 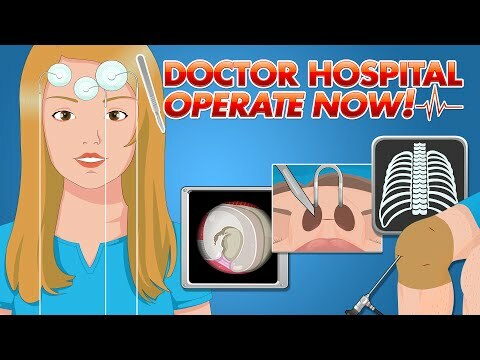 Play this free and realistic surgery game now with compelling yet stimulating visuals and graphics to test your medical capabilities. Do you have the guts and stomach to stay calm under pressure and handle the trauma of an emergency room? Get your coat on dear doctor because the sirens of the ambulances is drawing near! Every second counts now – it’s a matter of life and death.